WASHINGTON (CNN) - Secretary of State Rex Tillerson thanked the American people, his State Department staff and the nation's extensive network of diplomats in an at times emotional farewell statement on Tuesday. One person he did not thank: President Donald Trump, the man who nominated him for the job but abruptly told the world of his ouster in a tweet on Tuesday morning. The only mention of Trump came at the top of the statement when Tillerson mentioned that the President had called him at "a little after noontime from Air Force One" to talk about his ouster. That call came hours after Trump told the world he was replacing the former oil tycoon with CIA Director Mike Pompeo. Tillerson told reporters he is delegating all his authorities at the end of Tuesday and that his tenure will officially end on March 31. Highlighting what he considers key accomplishments from his year in the top US diplomatic post, Tillerson mentioned his efforts to bring North Korea to the negotiating table through a "maximum pressure campaign." "Working with allies, we exceeded the expectations of almost everyone with the DPRK maximum pressure campaign," Tillerson told reporters. He also highlighted progress in Afghanistan and in the global campaign against ISIS in Syria. Tillerson also called out Russia, saying "much work remains to respond to the troubling behavior and actions on the part of the Russian government." Tillerson's comments criticizing Russia come after a year of Trump largely avoiding a direct confrontation with the country. Trump has also yet to detail how his administration plans to penalize Russia for meddling in the 2016 election. "Russia must assess carefully as to how its actions are in the best interest of the Russian people and of the world more broadly. 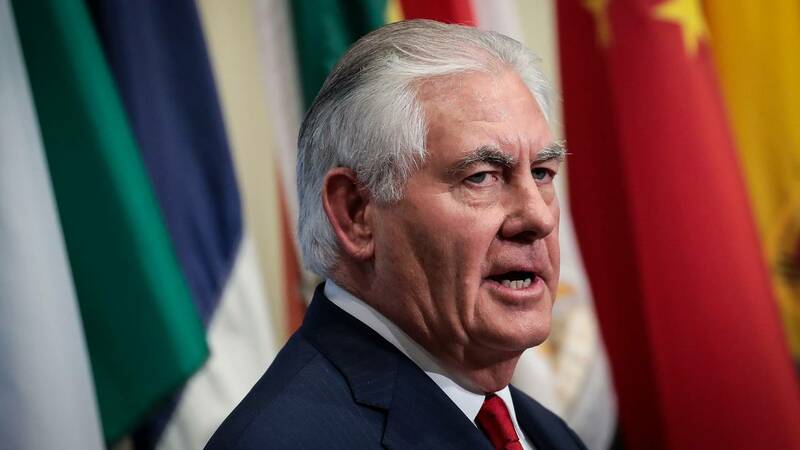 Continuing on their current trajectory is likely to lead to greater isolation on their party, a situation which is not in any one's interest," Tillerson added. Speaking from the agency's briefing room, Tillerson said his priority is to ensure a smooth transition. Trump announced earlier that he had fired Tillerson, replacing his top diplomat ahead of a potential high-stakes sitdown between the President and North Korean leader Kim Jong Un. Tillerson's departure follows months of tension between him and Trump. The President plans to nominate CIA Director Mike Pompeo to succeed Tillerson, and picked Gina Haspel, the current CIA deputy director, to take over from Pompeo. Update: This story has been updated with more of Tillerson's comments.